Melanie Henderson's life is a lie. The scandal of her birth and the identity of her true parents is kept from her family's small, conservative Colorado town. Not even she knows the truth: that her birth mother was just 14 and unmarried to her father, a local boy who drowned when he tried to take a shortcut across an icy river. Thirty-five years later, in Denver, Melanie dabbles in affairs with married men while clinging to a corporate job that gives her life order even as her tenuous relationships fall apart. She still hasn’t learned that the woman who raised her is actually her aunt—or that her birth mother visits her almost every day. This fiercely-guarded secret bonds the two most important women in her life, who hatched a plan to trade places and give Melanie a life unmarred by shame. Yet, as a forest fire rages through the Rocky Mountains and a car accident shakes the family, Melanie finds herself at the center of an unraveling tangle of tragedy and heartbreak. 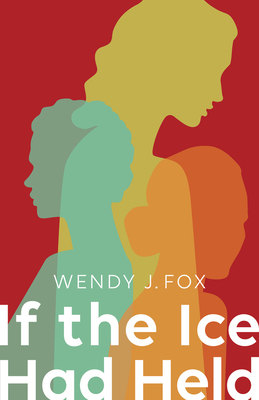 If the Ice Had Held speaks with a natural lyricism, and presents a cast of characters who quietly struggle through complicated lives. Wendy J. Fox is the author of The Seven Stages of Anger and Other Stories and The Pull of It. She received her MFA from Eastern Washington University, and her work has been published or is forthcoming in many literary reviews, websites, and blogs.